Kaya mo bang aminin sa ex mo na siya ang "the one that got away"? This is the one million dollar question that the popular FM radio disc jockey "Papa Jack" and the Ultimate Champion Rachelle Ann Go will try to answer this Friday in "MARS," an infotainment talk show on GMA News TV Channel 11 hosted by celebrity moms Suzi Entrata-Abrera and Camille Pratts. 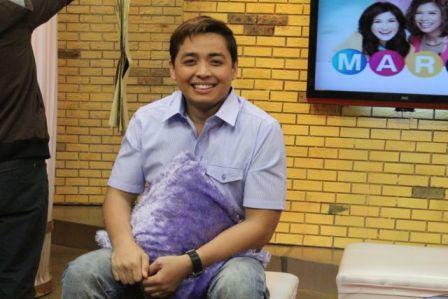 Papa Jack is known for being witty while at the same time frank in giving pieces of advice to his problem-ridden listeners. Will he be able to follow his own advice? Meanwhile, Rachelle Ann Go chips into the discussion with lessons she had learned from her personal experience in her past relationships. Hmm. Interesting. Also, kapuso primetime royalty and star of the much-talked about horror film, "Tiktik: The Aswang Chronicles," Dingdong Dantes drops by MARS to promote his film and to try "flair bar tending," an exhibition done by bar tenders to entertain guests. Will Dingdong, Rachelle Ann, Papa Jack and the hosts be able to get the hang of its tricky trick? Meanwhile, Papa Jack, Rachelle Anne and the hosts will join Naomi, a member of the Philippine All Stars dance troupe, in demonstrating a couple of reggae moves that might just help you get rid of the "flab." 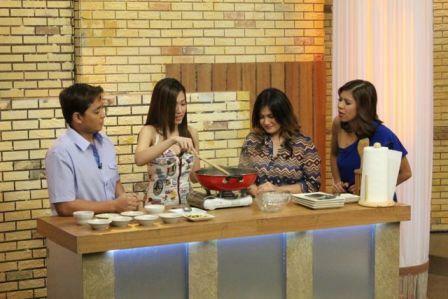 Don't miss this episode of "MARS" airing this Friday, 6:00pm on GMA News TV Channel 11. 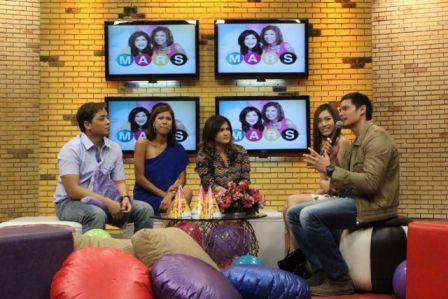 "MARS" airs weeknights, 6:00pm on GMA News TV Channel 11.